With N.W.A.’s new Straight Outta Compton film hitting the big screen tomorrow, check out what Jerry Heller had to say about the upcoming biopic when we sat down with him for an exclusive interview for White Label Radio earlier in the year. Heller also discusses Bone Thugs-N-Harmony, “No Vaseline,” Suge Knight, what life was like after Eazy-E’s death and more. Filmed & edited by Luie C. of Collective State TV. Earlier in the year White Label Radio host, Melloe Won, had the opportunity to sit down with Jerry Heller for an exclusive one-on-one interview at Dash Radio. Watch as Heller discusses details on discovering N.W.A., going into business with Eazy-E, Ruthless Records artists and much more. Filmed and edited by Luie C. of Collective State TV. Earlier in the year I had the opportunity of shooting an exclusive interview with former N.W.A. manager and Eazy-E business partner, Jerry Heller, for White Label Radio. Before the film Straight Outta Compton drops this Friday, take a look at what the man who is responsible for getting the group off the ground had to say about past beef with Ice Cube, falling out with N.W.A., Eazy-E’s death, Dr. Dre and more. 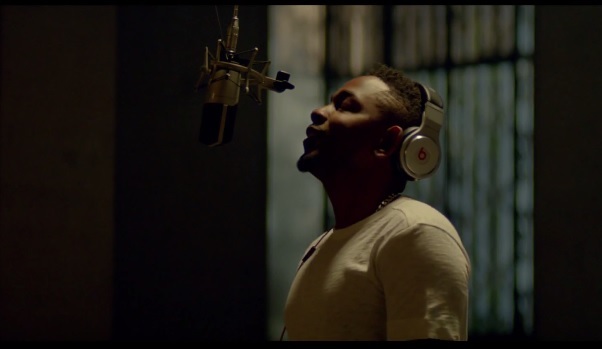 Dr. Dre and Kendrick Lamar link up for a new Beats By Dre commercial to promote the company’s new wireless pill designed speaker just in time for the holidays. Check out Lamar and the West Coast legend as they work hard in the studio on a new track. There’s also a scene where Lamar shows off the song to some friends at the local barbershop before heading back to the studio with Dre to finish up what they started. DJ Vlad has an over the phone interview with rapper Nelly and gets the St. Louis native to speak on his recent visit to the studio with Dr. Dre. In fact, Nelly explains that they weren’t collaborating for anything on his latest LP but rather for the Dre. Take a look as Nelly explains that he’s not sure what the music will be used for but does hint at a possible feature on the mysterious project which at this point feel more like an urban legend or a myth. 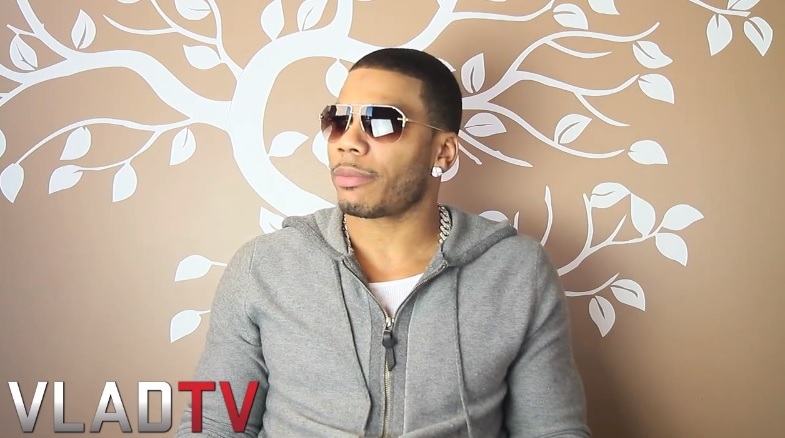 As the conversation continued, Nelly opened on his feelings about the merging of country and Hip Hop, the Florida Georgia Line and more. Artist and producer Hit Boy catches up with Hard Knock TV for an in-depth interview. The Inland Empire native takes it back to the beginning and shares his first Hip Hop memory which came about courtesy of his uncle who he overheard playing N.W.A. and who was a member of the group Troop. Hit Boy explains the current situation he finds his career in and the level he’s been propelled to which subsequently has changed the dynamics of how he works in the studio nowadays. Watch as Hit Boy talks about getting the opportunity to hang out with Dr. Dre, why Kendrick Lamar’s Good Kid m.A.A.d. City is worthy of a GRAMMY, reveals he has several unreleased songs in the stash with Drake and so much more. Here’s the official tracklist for Eminem’s new The Marshall Mathers LP 2 album which is scheduled to hit shelves on November 5. Take a look at the artwork which showcases the details of the 15-track project. Fans can look forward to hearing features from the likes of Skylar Grey, Rihanna and Kendrick Lamar. 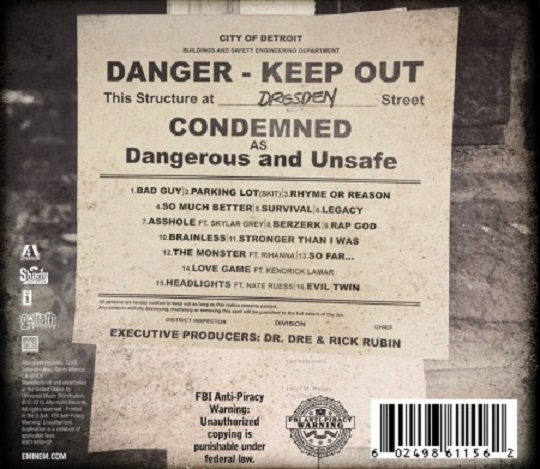 The Marshall Mathers LP 2 also boasts Dr. Dre and Rick Rubin as executive producers.